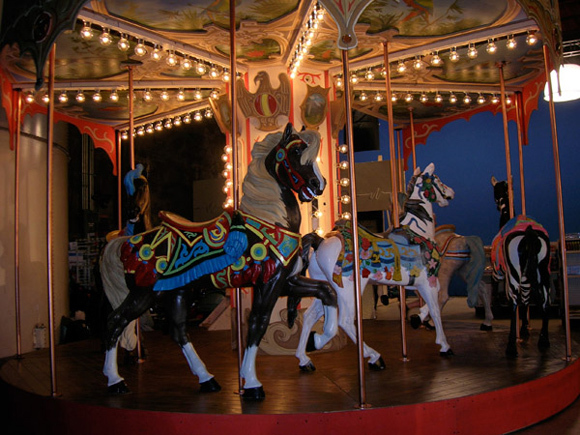 This 15' carousel was made for a Washington State Lottery commercial. John worked with the Art Department as lead scenic painter. KK Barrett ('Where the Wild Things Are', 'Marie Antoinette') was the Production Designer.